New products and building techniques help homes resist heat and flames from wildfire and nearby structural fires. Download this Red Cross checklist if your home is threatened by a fire. Information you need to design, build and prepare homes for extreme weather and natural disasters. Heat Armor. 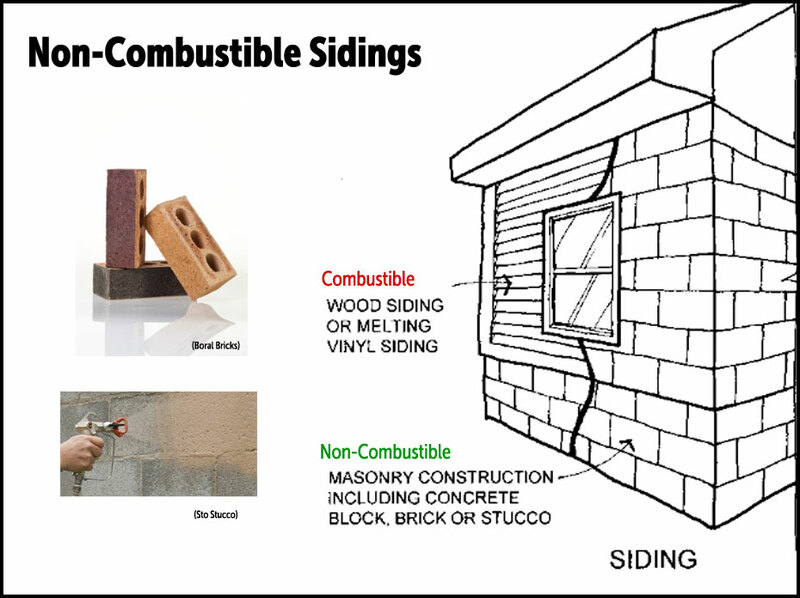 Western Red Cedar Ignites at about 354 Degrees C, about 40 degrees lower than the burn point for PVC siding. Images: IBHS: "A Homeowner's Guide to Wildfire Retrofit"
Tempered Glass. Tests show that an untempered double-paned glass is only slightly more resistant to heat shattering than single-pane glass. 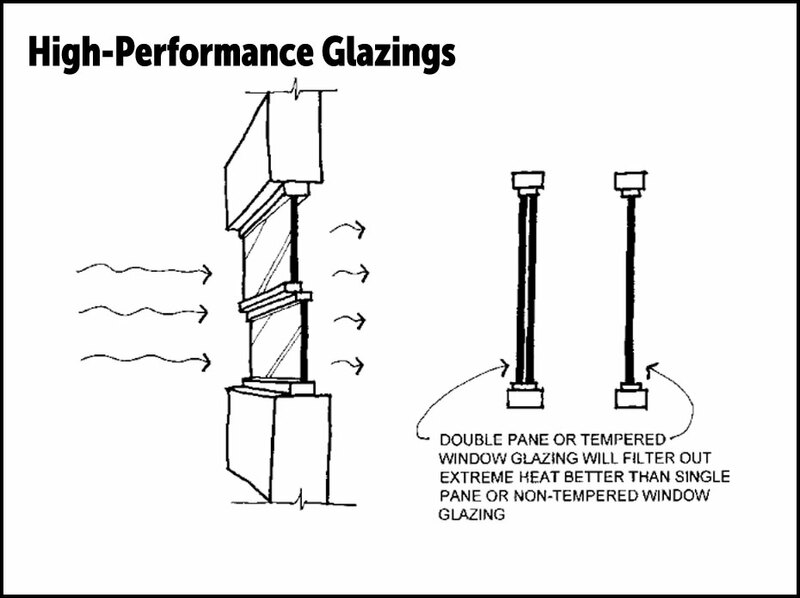 But if the glass is tempered, it can outperform the surrounding wood framing (assuming it's wood). 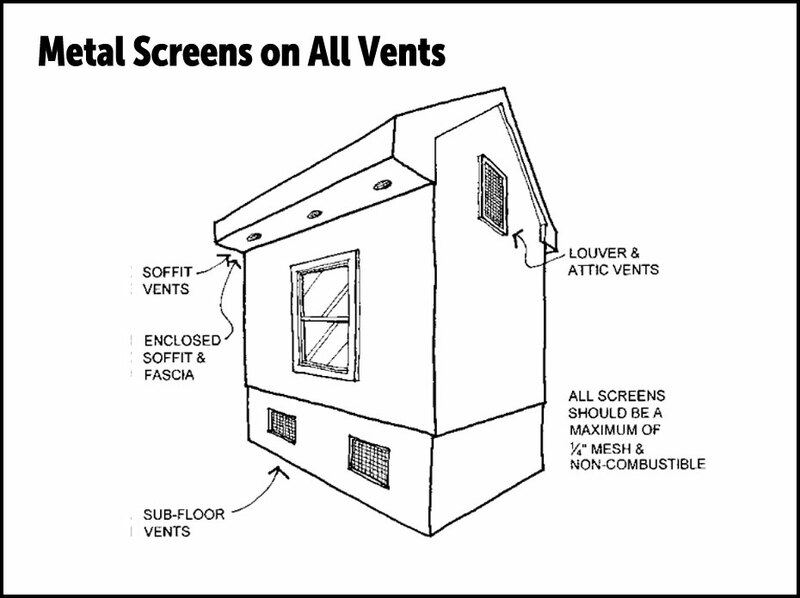 Image: IBHS: "A Homeowner's Guide to Wildfire Retrofit"
Stop Sparks. 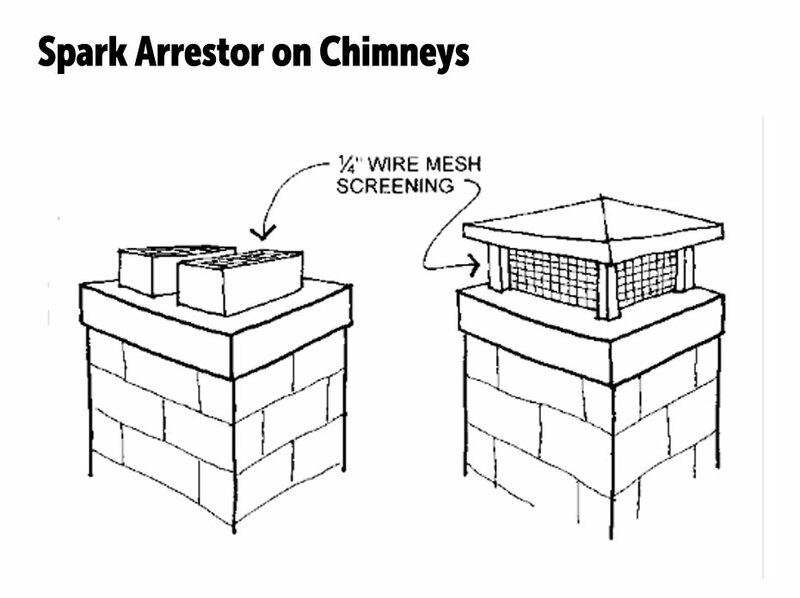 Most house fires start when sparks blow into openings in attic, basement or soffit vents. 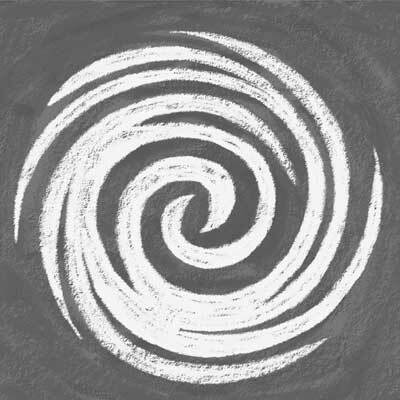 Cover all potential pathways for unwanted embers. IBHS: "A Homeowner's Guide to Wildfire Retrofit"
CLASS A ROOFS: DON'T FORGET UNDERLAYMENTS: To achieve the highest (Class A) fire rating, even metal and concrete roofs MUST be installed with special underlayments. 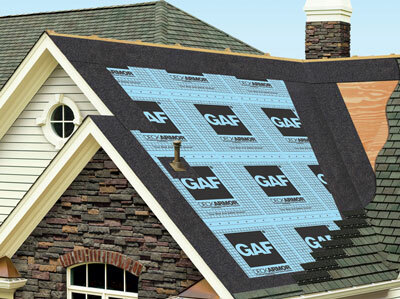 Many brands are available, but they are specific to the type of roofing. Versashield from GAF is shown. Forever Cap Spark Arrestor. 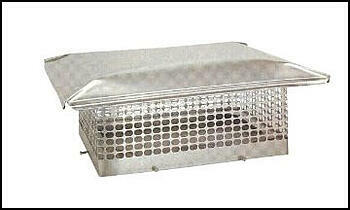 Available in stainless steel, this easy-to-install chimney cap can keep sparks where they belong. Order this or another spark arrestor online now.